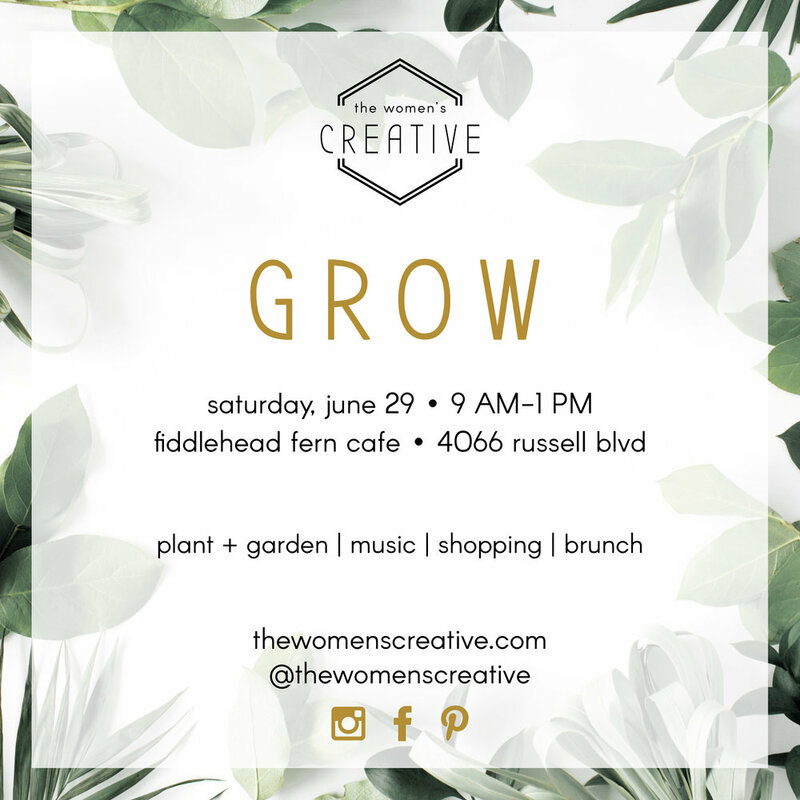 Join us for our Spring Edition Pop-Up at an all new location! This pop-up will be unlike any we've had before - more vendors, more food, and just more we can't wait to share with you! Our first themed Pop-Up will be all GREEN! Join us in the yard next to Fiddlehead Fern for a plant and garden sale! We are hand-picking 10-15 plant loving vendors to bring you all of the beautiful green things. We’ll have house plants, outdoor plants, flowers, pot and ceramics to hold plants, plant artwork and anything else that we can find that is green and full of life! Come to shop all the green things AND enjoy a blue grass band, brunch at Fiddlehead Fern and lovely botanical cocktails or coffee at their bar. This is going to be a fantastic morning that you won’t want to miss!